Samuel Sorinmade has PHD degrees in Animal Science: B.Sc. (honors) from University of Ibadan, MS (in the same concentration) from University of Florida, Gainesville, Florida and PhD from University of Maryland, College Park Animal Science and was a post doctoral research fellow at USDA, Beltsville, Maryland. He has conducted biochemical research in fishery and meat. He has experience in pest control, financial analysis and customer relations. He has attended and presented many scientific papers at international seminars. Besides being a teacher of workers in training and search the scriptures, he was responsible for the spiritual growth of his local parish in Lagos and coordinated all teaching ministries both at local and area levels for many years. 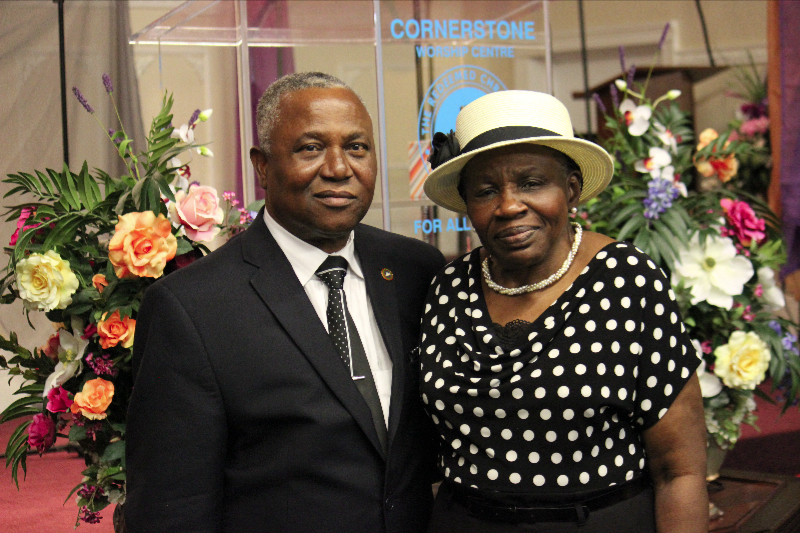 Samuel Sorinmade has been the parish pastor of The Redeemed Christian Church of God, Cornerstone Worship Center for all nations, Massachusetts since January 1998. He was called to full time ministry in October 2000. He is the spiritual/ administrative head of the parish. He ministers and teaches the Word of God. Presently, he organizes meetings with ministers and heads of Church council, trains workers and heads workers’ disciplinary committee, conducts water baptism, communion, naming and baby dedication ceremonies. He is the present Vice-Chairman Board of Directors of RCCG, Cornerstone and he is responsible for the spiritual growth of the parish and now the zonal head pastor for all Redeemed Parishes located around the New England region. He is married to Debbie and they are blessed with four children and grand children.